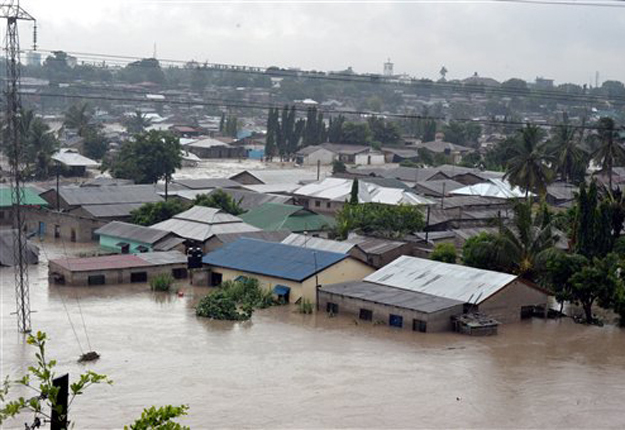 At least 14 people have died in Tanzania due to heavy floods that have hit the country’s capital of Dar Es Salaam. The Dar Es Salaam police chief Lazaro Mambosasa told local media that the death toll which was previously low has on Thursday risen to 14 due to the continued flooding the city has been experiencing. “The number killed has been slowly rising as heavy rains have continued to hit the country since the weekend,” he said. On Monday, Dar es Salaam regional commissioner Paul Makonda ordered primary schools closed for two days and advised families to leave inundated areas in a bid to limit the loss of life. According to reports, the floods have been caused by continued downpour of torrential rains.